Here is your chance to win one of our favourite products from the fabulous Fiesta Crafts! “Children who love story time will adore these hand and finger puppets which have been beautifully designed to spur on even the wildest of imaginations. Reflective of the key characters in two of our most treasured children’s stories, one large hand puppet plays a key character supported by a series of embroidered fabric finger puppets to make the retelling of these classic fun and fully interactive! Not only is it a great toy for individual play, it is also designed to encourage role playing with others – improving confidence and social / communication skills. The finger puppets can be stored in pockets on the hand puppet after play making it easy to keep the whole set together in one place. 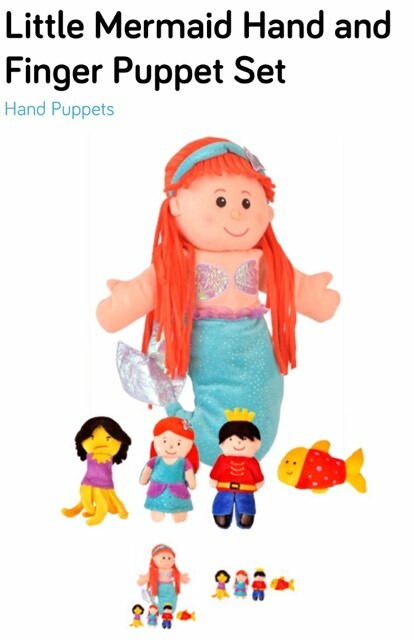 I would love to win as they are such beautiful puppets and they would be a gorgeous toy to have at the preschool I work at to encourage them to retell the stories they love or create completely new ones from their imaginations! Fantastic! 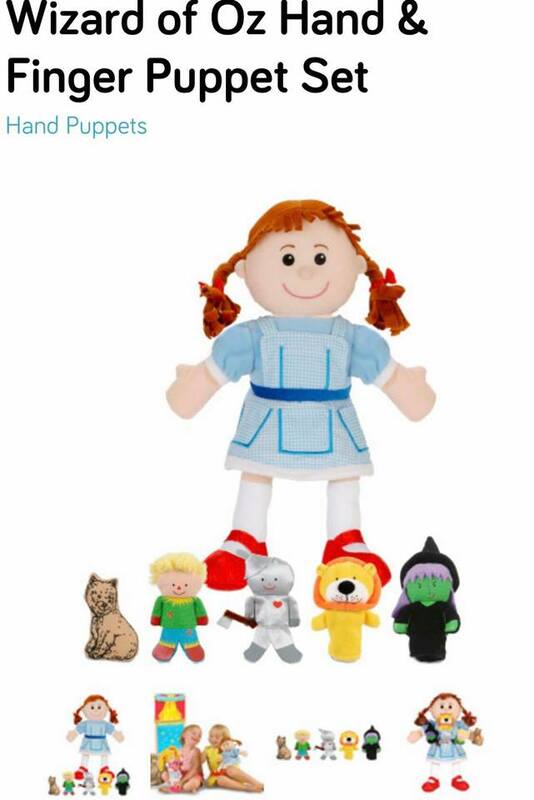 They're beautiful puppet sets that's for sure! I would love to win so I can donate it to a playgroup I run. The kid would really love them especially to retell the story with parents/carers. Previous Post Our Favourite Fiesta Crafts toys! Next Post Is Halloween More of a Trick than a Treat?